This page has a historical overview of the Northern Territory (NT) and Australia in 1983. 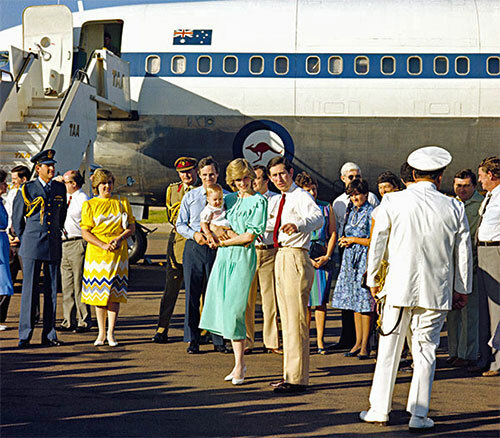 On 20 March, Prince Charles and Princess Diana began a four day visit to Central Australia. They visited Yulara and Uluru, spoke to school children from the Alice Springs School of the Air, and visited Tennant Creek. On 26 September, the Australia II syndicate won the America’s Cup Yacht Race. 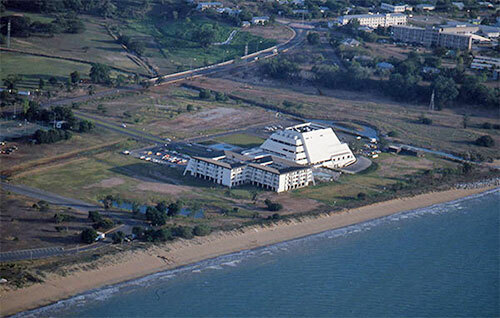 On 21 April, the $30 million dollar Casino Resort Hotel at Mindil Beach, Darwin was opened. 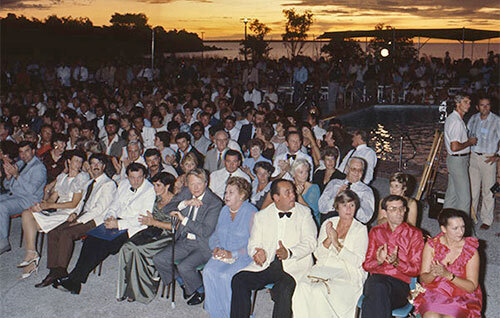 On 1 July, the Hotel Darwin celebrated its centenary with the opening of a $500,000 convention and function centre. ABC FM radio transmission began. The Federal election in March led to a change of government. Bob Hawke became Prime Minister. Former Prime Minister Malcolm Fraser resigned as party leader and federal parliament. Through the first part of 1983 protests were mounting over the damming of the Franklin River in Tasmania, and on 1 July the High Court of Australia overturned the Tasmanian Government decision to dam the Franklin River. During February, ‘Ash Wednesday’ fires ravaged areas of Victoria and South Australia. After an NT general election on 3 December, for the Fourth Legislative Assembly, the CLP retained government with 19 seats, with the ALP winning 6 seats. On 13 December the Eighth Everingham Ministry was appointed, with Cabinet increased to eight members. Noel Padgham-Purich became the Territory’s first female Cabinet Minister, and Tom Harris and Daryl Manzie became Ministers for the first time. To try to reduce public nuisance, the new ‘2km drinking law’ came into effect making it illegal to drink within 2km of licensed premises, unless a certificate of exemption had been obtained from the NT Liquor Commission. In August, Darwin became the home base of No. 75 Squadron Royal Australian Air Force, equipped with Mirage fighter aircraft. On 19 September, the restored Fannie Bay Gaol was officially re-opened as a museum, under the auspices of the Museum of the Arts and Sciences. Territory Wildlife Park and Cobourg Marine Park were officially declared conservation areas. The $4 million dollar roll-on/roll-off facility at Fort Hill Wharf went into service in March, as part of the plan to upgrade facilities for international shipping at Port Darwin. Construction was underway for the $14 million dollar natural gas pipeline that ran 150km from Palm Valley to Alice Springs. The pipeline was completed and operating in September providing fuel for Alice Springs Power Station. Work began on the access road and bridge to Channel Island for a new power station. The Darwin Hospital received 'Royal' accolade. In 1983 Territorians were shopping at Coles New World, Woolworths, and Lecornu. They were looking up information in their 'Funk and Wagnell Encyclopaedias', enjoying the movies ‘ET’, ‘The Man from Snowy River’, and ‘Phar Lap’ at the Cinema. People in the NT were listening to 'Australiana' by comedian Austen Tayshus, 'I was only 19' by Redgum, and 'Total Eclipse of the Heart' by Bonnie Tyler, and watching the newest talent in Australian Tennis, Pat Cash, rise to success.